If you have a “gummy smile,” crown lengthening can help. During a crown lengthening treatment, our Kalamazoo dentist will remove excess gum tissue to create the appearance of longer teeth and a more even smile. Crown lengthening can also make it easier to correct other dental issues, such as gum disease or decayed, damaged teeth. Crown lengthening is a type of oral surgery. In a crown lengthening procedure, our team will move your gums away from the bone underneath. In some cases, the bone will be smoothed before the gums are reattached in a lower position on the teeth. After your crown lengthening, your gums will look much less prominent. The crown lengthening procedure is performed with the aid of anesthesia, so you won’t feel any pain or discomfort during the surgery. Our Kalamazoo, MI dentist will provide you with all of the information you need in order to heal after the crown lengthening procedure. We will also help you schedule a follow-up visit so we can check up on how you’re healing. There might be some discomfort in the first few days after crown lengthening surgery depending on the work that was done. You will want to eat soft foods and keep the area clean during the healing process. Some bleeding is normal, but if you experience bleeding that is heavy or does not stop after 24 hours, please contact our office immediately. Be very gentle when cleaning your teeth until the area is healed. Your teeth might be particularly sensitive to temperature; this is normal during the healing process. You may notice some swelling in or around your mouth after the crown lengthening procedure. This is normal and can be managed by icing the area. 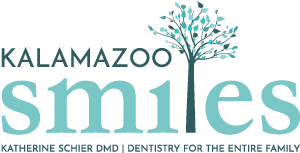 If you’re concerned about your smile and are interested in crown lengthening in Kalamazoo, the crown lengthening dentist at Kalamazoo Smiles will be happy to help you decide if the procedure is right for you. Visit our contact page or give us a call at (269) 353-3700 to set up a crown lengthening consultation today.